From leaking roofs to pipe bursts, our commercial property damage agents at 911 Restoration of Colorado Springs can mitigate anything we are confronted by. Our agents take special precautions to ensure that we are available 24/7/365 to building owners because we know how important it is to clean up water disasters quickly. When our team arrives on the scene we will provide you with same day services for all water disasters, as well as inspect for any mold growth. The longer the water sits, the greater the chances are that a mold infestation may occur, so our crew always works quickly and thoroughly. Call our pros today and we will work with IICRC certified technicians to make sure that your building is taken care of to the best of our ability. Our techs want building owners to be aware of the destruction that a flooding incident can inflict on their property. Water-based, natural disasters, such as flooding and rain storms, cause an excessive amount of damage to commercial buildings, which is why it is so important to have our pros on hand. The most important thing to understand about flooding caused by natural forces is that your typical insurance policy does not cover those damages. In order to be fully protected, you need to buy supplemental flood insurance, this way you are covered on all ends. Even if you are completely set with both types of insurances, it is still difficult to get the coverage you need if you do experience invading water due to outside forces. In fact, 20 percent of flood-based claims or rejected due to insufficient information. This is why our operation is here to file your claim for you, giving you the best chances of getting the coverage deserve. 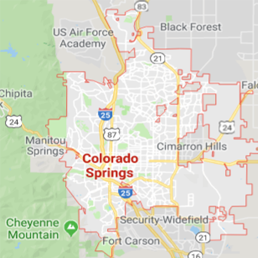 Call our commercial property damage Colorado Springs experts today and we will help get you the financial assistance you deserve. 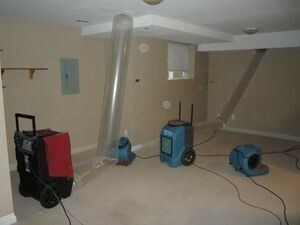 Once our agents have determined that mold has infested your building, it can be a tough piece of information to digest. Our technicians are here to help you understand everything that goes into the fungi eradication process. You can count on us to guide you through everything from start to finish. Our agents want to make this as easy as possible for you, so we completely dedicate ourselves to the job until it is perfectly completed. By being so accessible to our clients our unit hopes to give you peace of mind that everything is going to be ok with your building. Call us the moment you need professional assistance, and our commercial property damage agents at 911 Restoration of Colorado Springs will get your property up and running again in no time at all.